Hello friends! We enjoyed a wonderful break last week and I am so happy that it is officially spring. Today I am sharing my front door with you. We have been working on updating the exterior of our home for a while now. 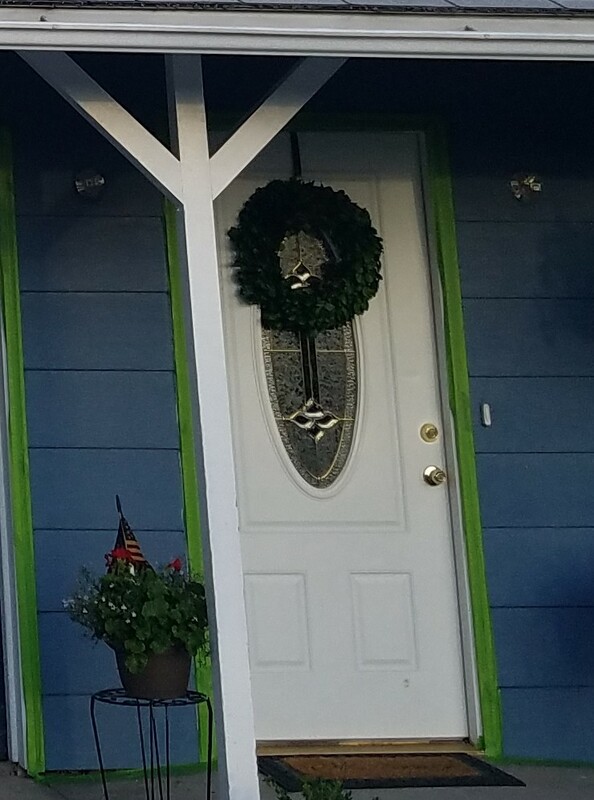 We painted the whole exterior last fall, which I will show you soon, but one of my favorite new additions is our front door. We looked a lot of places but ultimately ended up buying our door from Home Depot. Here it is before I painted it. 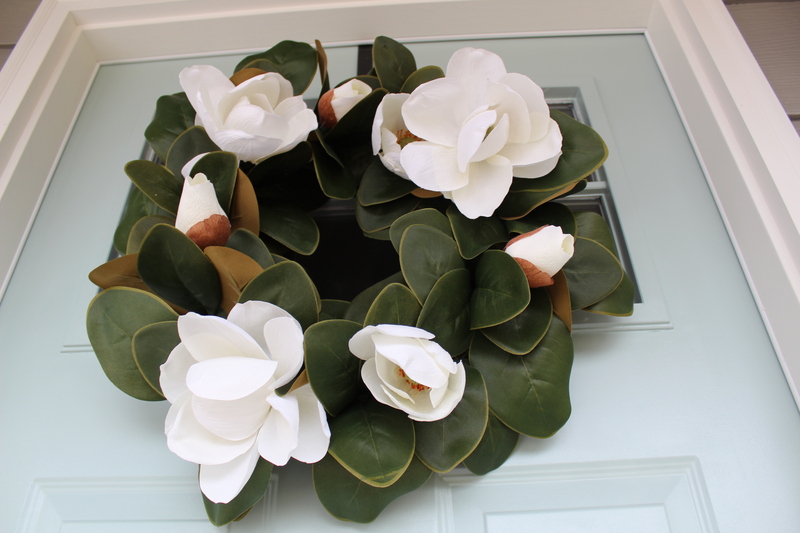 And here it is after we painted it with a new spring wreath. 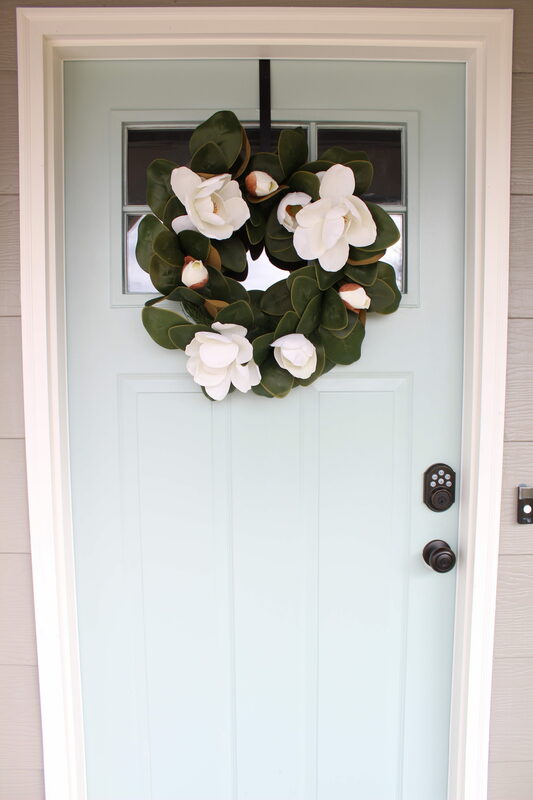 The paint color is Wythe Blue by Benjamin Moore and it’s one of my all-time favorite door colors. Everywhere I have seen it in person, it has looked amazing so when we were ready to paint I knew I loved it so much I didn’t even sample, I just bought the paint. I have been so pleased with the color, in every season so far, but this color is soo perfect for spring. I love colorful front doors. There are so many possibilities to choose from, it can be a little overwhelming to know where to start. 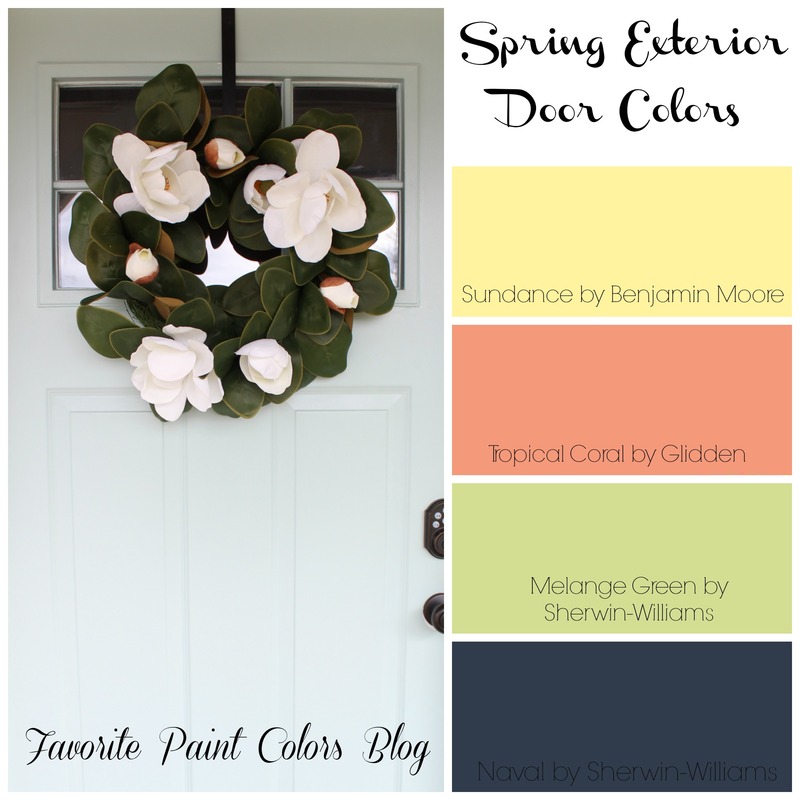 I put together some colors that I adore for front doors, and was looking at myself, and have spring written all over them. So if you want an inexpensive, easy way to spruce up your exterior – pick a color and start painting. 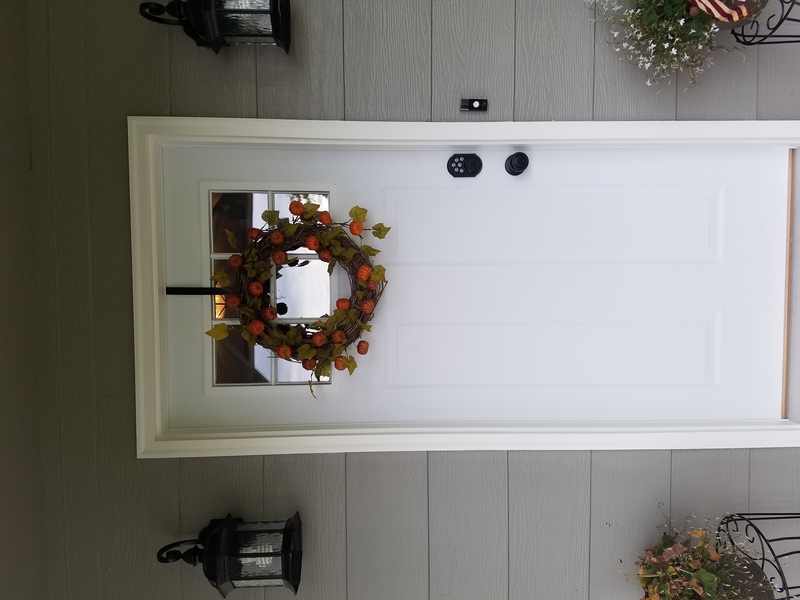 This door took me 2 hours to paint and cost less than $30. 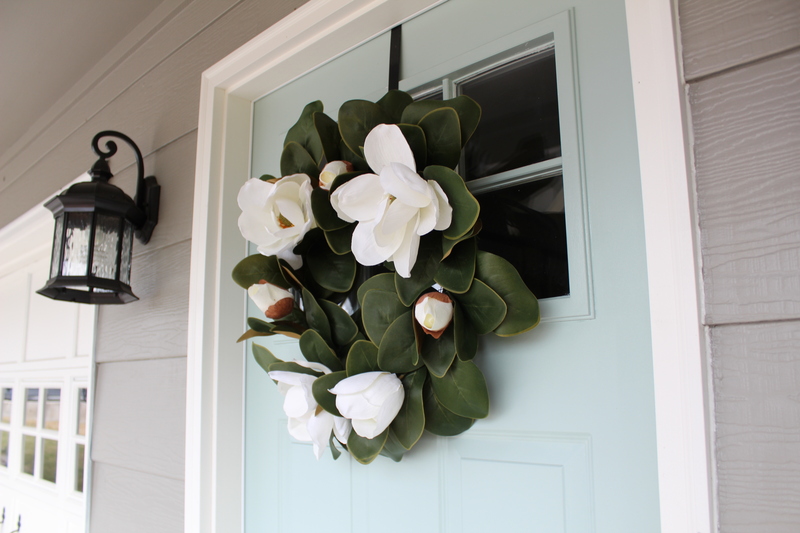 Do you have a favorite front door color?